TANDAG CITY, Surigao del Sur, April 3 (PIA) – The city government of Tandag thru the City Environment and Natural Resources Office (City-ENRO) led the river clean-up drive in time with the World Water Day celebration on March 22, 2019, in this city. City ENRO chief Edwin Ajos said the river clean-up operation is a community-based activity, under the River Care and Protection (RCP) program. "The activity is geared towards maintaining the cleanliness of Tandag City River, and enhances the community awareness and responsibility to manage the river," he added. Ajos said they have involved six urban barangays as hosts and these are Bontud, Dagocdoc, Telaje, San Agustin Sur, Bag-ong Lunsod, and Mabua. The residents of the host barangays actively joined the activity along with the representatives from the national line government agencies, local government employees, students, institutions, and different groups. "We could draw inspiration from Iloilo City. How they successfully revived their main river and built a beautiful esplanade - the first of its kind in the country with their key guiding principles of unity, strategic planning, and the political will,” he said. Earlier, Mayor Alexander Pimentel appealed to all Tandaganons, government agencies, groups, and institutions to go out from their homes and support the said endeavor. “I believe that this endeavor would sow to each one of us, the seed of environmental responsiveness that would somehow lead us to the right path towards achieving our goal, that is, the genuine and sustainable development of the city of Tandag,” Pimentel noted. TUBAY, Agusan del Norte, Abril 3 (PIA) - Mahigit 4,000 mga residente kabilang ang mga indigenous peoples (IPs), persons with disabilities (PWDs) at mga buntis ang nakinabang sa serbisyong hatid ng mga ahensya sa gobyerno sa ginanap na Provincial Peace and Order Council (PPOC) immersion sa barangay Tagmamarkay sa nitong bayan. Sa ginanap na immersion at bilang pagdiriwang na din sa buwan ng mga kababaihan, binigyang kahalagahan ang kalusugan at kahandaan ng mga buntis. 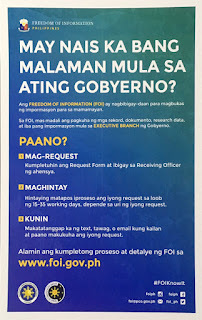 Malaki ang pasalamat ni Regine Bandigan, isang buntis ng barangay Telesfora na binigyang pansin ang tulad nya na matulungan upang mapaghandaan ang kanyang panganganak at masigurado ang kanyang kalusugan. Si Regine ay nakatangagap ng buntis kit, mosquito net at family pack. 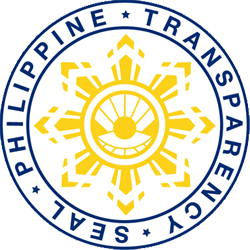 Ayon kay Department of the Interior ang Local Government provincial director Ellen Vee P. Chua, ang barangay Tagmamarkay ay pang-apat na barangay na binisita nga PPOC kung saan ito rin ay naitala bilang isa sa mga barangay na apektado ng insurhensya at kasama ang barangay Telesfora na may naitalang mahigit na 500 indigenous peoples households. Malaki din ang pasalamat ng punong barangay ng Tagmamarkay na si jJay Mark Graven sa pagkakaroon ng proramang gaya nito upang maramdaman ng mga indigenous peoples sa lugar ang kanilang kahalagahan at sila ay binigyang pansin ng ating gobyerno. Nakinabang din ang mahigit pitompong kabataan sa libreng tuli na hatid ng mga sundalo. Maliban sa libreng serbisyong medical at dental, nakinabang din ang mga residente ng Tagmamarkay, Doña telesfora, Doña Rosario at Sta. Ana ng legal assistance, consultasyon, serbisyong galing sa Land Transportaiton Office, Philhelath, Philippine Statistics Authority, libreng gupit, at marami pang iba. BUTUAN CITY, April 3 - Around 1,000 junior and senior high school students from various schools all over the region responded to the Department of Agriculture’s (DA's) call to convene for an Information Caravan dubbed as “Kabataan sa Agrikultura, Para sa Bayang Masagana" last March 21 here. The activity aims to create awareness among the youth regarding agriculture and its importance. It also aims to encourage the younger generation to engage in agriculture and agri-related enterprise. This is to address recent studies which show that the average age of farmers in the country is 57 and that there is a decline in interest towards agriculture among the younger generation. A report from the Commission of Higher Education (CHED) that enrollment in various institutions that offer agricultural courses all over the country fell from 127,287 for the school year 2016-2017 to 100,922 for 2017-2018. During the whole-day activity, resource speakers discussed DA programs, projects, and new technologies especially on rice production and mechanization to let the youth know that agriculture has already evolved and is now modernized and that farming could now be done using mechanized types of equipment. Employment and business opportunities in the agricultural sector were also presented. DA – Caraga Regional Executive Director Abel James Monteagudo emphasized in his message the significance of agriculture. “Without farmers, there will be no food. There is no future without agriculture,” he said. Jerome Taniola, a student of Mararag National High School in Marihatag, Surigao del Sur said that he learned so much from the info drive. “This activity enhanced my knowledge about agriculture and because of this I want to be part of the agriculture sector someday to be able to help feed the world and contribute to the improvement of the economy,” he added. On the other hand, Kervin Baltazar of Agusan National High School in Butuan City said the activity opened his eyes to the window of opportunities in the agriculture sector. “I am thankful to the Department of Agriculture for conducting this activity and enlightening us, the youth, on the various aspects of agriculture,” Baltazar said. BUTUAN CITY, April 3 - Heeding to the call of Agriculture Secretary Emmanuel Piñol to strengthen the dissemination of government projects, Department of Agriculture (DA) Caraga, through its Information Section, conducted a series of training for information partners. Members of the DA Caraga Information Network once again converged in Butuan City for a Radio Messaging Harmonization Workshop recently. Attended by DA attached bureaus and national line agencies, each participant packaged various radio spots to be used for massive information dissemination, where a total of 22 radio spots were produced. 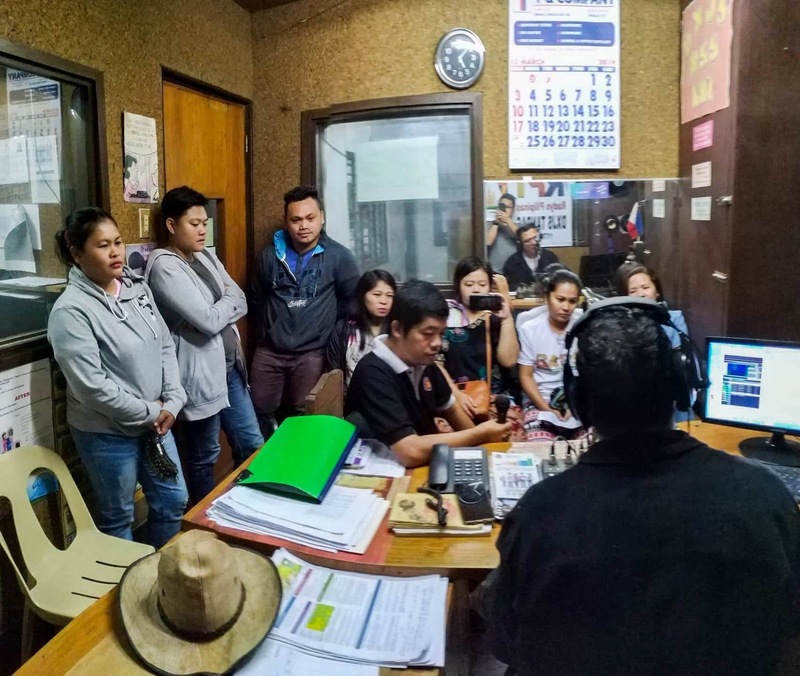 Said radio spots covering from production to marketing of crops, livestock and fisheries will be aired in various radio stations particularly during DA-funded radio programs and spot placements all over Caraga. Meanwhile, DA Information Section in partnership with the Provincial Agriculture Office-Information Section conducted also a news writing and radio reporting seminar workshop in Tandag City, Surigao del Sur. LGU agri-based information officers were taught on basics on writing for radio and radio reporting to make them more effective in conveying messages through the use of radio broadcast. 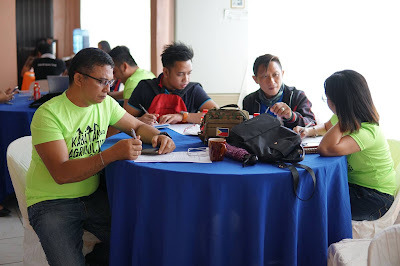 The participants who were agriculturists but designated also as information officers were honed to make their reports palatable for radio listeners. 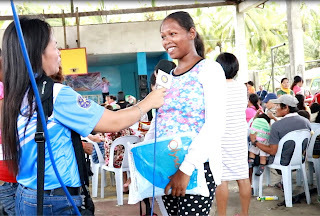 DA Caraga has been partnering DA attached bureaus and agencies, and local government units through funding radio programs and spot placements all over Caraga for wider information dissemination.